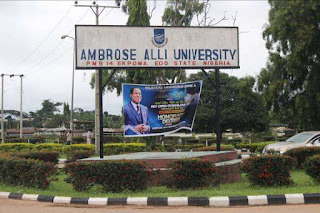 Two students of Ambrose Alli University, Ekpoma, have been reported dead while 16 others injured in an accident that occurred within the campus. The accident was said to have occurred when one of school’s shuttle buses lost control due to alleged brake failure and somersaulted several times. One of the deceased was identified as Ebere, a 300 level student of Educational Foundation Management. It was learnt that other student died at the hospital they were rushed to. Spokesperson of the institution, Mr. Edward Aihevba, who conformed the incident, said investigation was ongoing to determine cause of the accident. “A committee has been set up to investigate the immediate and remote cause(s) of the accident. "Appropriate actions would be taken at the end of the investigations.” He said.